In Part 4 of AnimSchool's Webcast with Blue Sky Senior Animator Lluis Llobera, Lluis discusses one of his shots from Rio, sharing his animation process. He goes over how his shot evolved with what he was given from layout, showing his blocking, splining to the final render. Disney Modeler and AnimSchool Instructor, Brien Hindman gives Mohannad Hussam Al Ratroot his weekly critique in AnimSchool's Environmental Modeling Class. Fall Term begins October 1st. Apply Now! 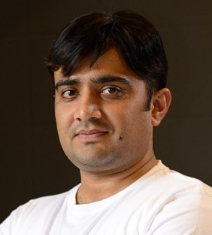 We'd like to welcome Animator Muhammad Irfan Farooq. First of all, Congratulations on your 11 Second Club June win!! Can you tell us a little about yourself, how long you've been animating and what made you want to get into this Industry? 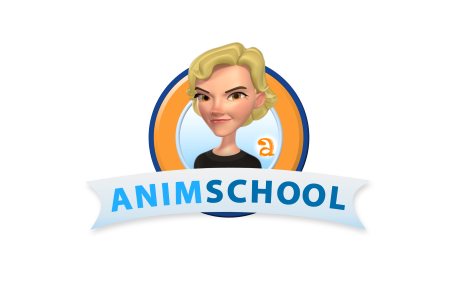 First of all, I am very thankful to AnimSchool for giving me a chance to share my thoughts and knowledge. Since I was a kid, I loved to watch and draw cartoons, unfortunately we did not have any art school in my country, Pakistan. However, while doing my Computer Science degree in 2002, I saw “Shrek” and “Jurassic Park”. I wondered how they created them, so I bought a computer and installed 3Ds Max and Maya at first chance and I learned some basics of the software. Luckily, in 2006 I got an internship in a studio where I learned a lot about character animation and very soon I found out animation was my dream job. Now I've been animating for 5 plus years. Which Artists/Animators do you look towards for inspiration and what stands out to you about these artists? Honestly, for inspiration I search randomly on the internet every day. If some animator does something unique and fresh, I study his/her animation over and over again. The animation style for AnimSchool promo was one of my favorites. I love to study cartoony stuff like Tex Avery, Chuck Jones' stuff. While studying cartoony animation, I look for the sense of timing, transitions from one pose to another, how they lead the action, and how other body parts are following it. I also look for smear frames and how they're used effectively. Irfan--11 sec --June 2013 from Irfan on Vimeo. In the past, you've entered the 11 Second Club with a variety of Rigs. Why did you decide to use AnimSchool's Malcolm Rig for both your characters in your June entry: "Love to Play Games"? For my June entry, I used AnimSchool's Malcolm Rig for both characters because this rig was the best fit for the style of animation I wanted to do. I wanted to exaggerate overall performance of characters. One character was super energetic; I wanted him to be more quick and snappy. The other was more composed and calm; I wanted him to be more still. AnimSchool's Malcolm Rig looks great for both types of characters. What was it like working with the Malcolm Rig? Did it meet all your expectations? What did you enjoy most about it? Whenever I get free time and want to practice some really fun/ over exaggerated animation, Malcolm is the only Rig I want to use. I love its flexibility and appeal. Making smear frames, using the face and body is my favorite part using Malcolm. Could you tell us a little about your animation process for your animation: "Love to Play Games," from planning/reference to splining? For 11 second compilation, I approach dialogue a bit differently than usual. After listening to the audio hundreds of times, I jumped into the planning stage. Rough Idea: While listening to the audio, I draw some thumbnails to get the basic understanding about what I'm thinking about the character and his/her performance. Rough Timing: I get rough timing by animating a box in Maya. I think about big vs small accents of the body and transition from 1st position to 2nd. Rough poses and timing: It's time to see the character with rough poses and timing based on the above steps. I copy that box animation to the spine of the character and do some rough hand animation to see if it's going to work or not. Sometimes I import a preview into 2D software and draw over it to get a better understanding for poses and timing. Refining poses: Now its time to refine my Key Poses and make them stronger and more clear. I push the line of action and work for better silhouettes. Putting in expressions is a great way to get the right emotion out of the character. I also add strong finger poses before jumping into the next step. Refining Timing: While refining timing, I put breakdowns, 2nd breakdowns, anticipation, moving holds, ease in-outs and overshoots where needed. I also take care or arcs and paths of action for every body part. I always use auto tangent at this stage. Lip-sync and facial : I also put basic expressions and lip-sync during this phase. Polishing body: It's time to check the character as a doctor. I start with hips and go upwards to the spine, neck and head. Then shoulders, elbow, hand and fingers. At the end, legs are easy to polish. Don't forget to look for breathing and weight shifts. Polishing Facial: Polishing facial is the fun part for me. I start with eyebrows and eyes together, then I move to lip-sync and expressions. I look at the face as a fleshy part and make it feel soft. Irfan--Progression Reel-- 11sec June competition ! from Irfan on Vimeo. What was the most challenging part when animating this dialogue? How did you work through this challenge? Working with two characters while sharing the same shot is always challenging. After finishing the first character's animation, I was afraid to over-animate the other character. I toned it down, so I wouldn't draw attention away, while still keeping the character standing there alive. Luckily, I succeeded without much effort. Lastly, what advice would you give to students who are just beginning to study animation? As a beginner, I always would get stuck in technicalities, thinking of better work-flow and formulas. But soon, I realized it's all about studying life, feeling it and putting it into your animation. Don't be afraid of work-flows and technicalities, just choose one and work on that actual part. The tough one is “The Feeling” part. If your character has the feeling, you can make anyone feel happy, sad or whatever you want them to feel. Then Hurray! You did a great piece of animation!